Grimm has taken a dark turn in recent weeks, in large part because of the hatred directed towards “mixed-breed” couple Rosalee and Monroe. OHSOGRAY joined a press call with Bree this past week, during which she discussed the future of our favorite Wesen couple. Is there someone in the cast that you haven’t maybe worked a whole lot with yet, that you’d like to spend more time doing scenes with? Bree Turner: Yes, I would probably have to say it’s Reggie (Sgt. Wu). 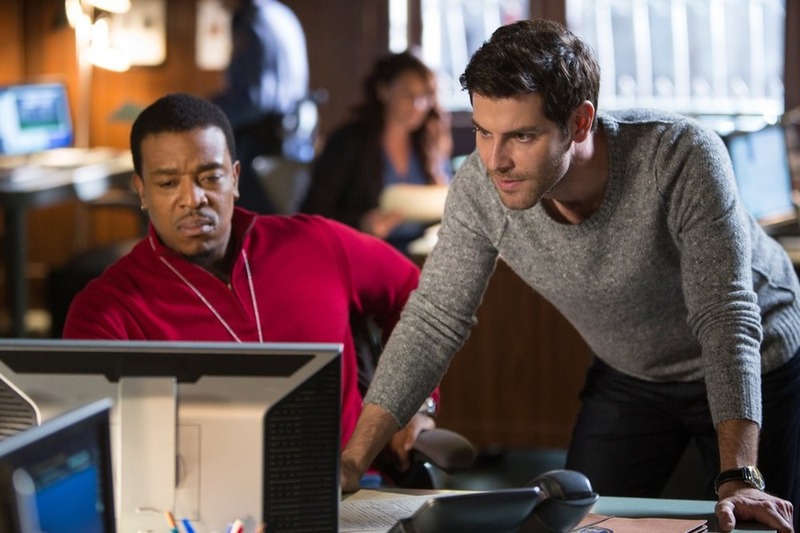 It’s almost like there’s sort of three separate worlds happening in Grimm. There’s the Adalind world and the procedural world and then there’s the Wesen world. And up until now – I mean I was lucky to – I would have said it would have been Claire, but we had that nice arc with her last season so really Reggie is such a beautiful actor and person that the few moments we’ve shared – our time together has always been super enjoyable, but as you can see we’re on a trajectory with him, you know, in the loop and a part of the Scooby gang and I’m really looking forward to more screen time with him. Can you talk about any Wesen either coming in the back half of the season or maybe just some that you’d like to see that haven’t been on? Bree Turner: Yes. I like sort of referencing Wesen that we already know. Kind of keeps the world familiar within – to the fans, within the story. And there’s a lot of Blutbaden that are coming out that are against our marriage, our mixed marriage and to see sort of different kinds of Blutbaden that I thought were really interesting that it’s also compare it to how much Monroe has bucked the system in terms of his species and sort of what they’re known for and to kind of see sort of a path that Monroe could have gone down if he wasn’t reformed is interesting to compare. Who is the cast member that you think most resembles their Grimm character? Bree Turner: Well, you know, Russell is a pretty dapper, smooth, intelligent man in his real life and I feel like Hank is really on par. I think Russell is such a great actor and I love the depth he brings into his procedural portion of the show and I’m always very excited to see him be able to expand out of that role with the scripts and I say he’s probably closest to his role, except that he’ll break out into a dance party on set every once in a while. It’s always – he makes me smile when he gets goofy. You used to dance, so do you join him if he does? Bree Turner: Oh, yeah, Russell and I…we’re right in sync. We have the same taste in music so we know all the old R&B jams. We break out into a little dance-off, he and I, often. So the whole issue with this group that is against Rosalee and Monroe’s marriage. How is that to play? Bree Turner: Yes, it’s been very challenging. Very satisfying as an actress but yes, very uncomfortable. I mean just even seeing – a few episodes ago, seeing the wolf burning on our lawn, I mean just that visual is so powerful, so upsetting, deeply upsetting. When you’re filming that night, you don’t have to imagine too much. You just sort of in the moment and you’re right there emotionally because it’s an ugly truth to our history and for be touching on that – within this genre is to be able to sort of discuss social issues like this, really I think powerful. The episodes coming up where after Chupacabra where two episodes – two to three episodes are on this single handedly dealing with these group of people, the Secundum Naturae Order Nam Wesen, it just gets so dark. It gets so heavy and I’m just so happy with – our writers are so good and I’m so happy that they didn’t hold back at all. They really went for the darkness and the ugliness of the subject matter and Rosalee and Monroe – it’s life and death at this point. What do you like about the changes, the evolution of Rosalee in this series? Bree Turner: It’s been so – since that assigned to play, I mean she was already such a fully formed character from her first episode and which is the reason why I wanted to join the show. I was like wow this is – from the gate, you know who she is. And to come to the scene guarded, very – so many walls up, distrusting, broken, and then to you know find this new way of living with being friends with the Grimm and sort of this brave new world that Nick and Monroe you know, were creating here in Portland. Sort of jumping into this friendship and then the eventual romance that Monroe – to see her become vulnerable and to live a life she wanted to live but was scared to live and to feel like she now deserves to be happy, deserves to have this love. As an apothecary, her talent…she’s one of the best I think in the world at this point and her confidence professionally and with her talents are fully cooking now. What I love about this next arc of the – of Monroe being in danger and Rosalee, where a lot of that will actually full circle in the way that she goes back to – you know, we see who Rosalee is inside and her street skills are definitely put into action again and her fearlessness and her scrappiness and her “die for a cause,” “die for the man she loves.” […] [You] also see the fire within her that she is – will kill anyone who stands in her way of the people she loves or what she believes in. I’ve been so happy to see this kind of full circle exploration of who she is. What are Rosalee and Monroe’s children going to look like? Bree Turner: I think that’s a $20 million question. You know, I don’t know. I think that’s obviously something that people are interested in. we’re interested in and the writers talked about it and it’s obviously something that’s in conversation and as you know, we’re way farther ahead than the episodes are airing. It comes back into conversation again, especially in light of this horrible event that is about to be happening. It’s something that they’re very interested in finding out themselves, too. As an actress, how do you feel about making Rosalee a mother on this show? Sometimes that can be an awkward thing on a show where the mother then doesn’t have as much story time or the baby is just never seen. Bree Turner: Well, I think Rosalee is such a strong character. I can’t imagine she’s going to be putting her skills on the back burner if she chooses motherhood. She’s already been juggling a lot. I’m sure she can juggle that, too. If this is something that we’re going to go down, I think it doesn’t necessarily have to be straight forward. As most things in our show aren’t and usually they’re filled with twists and turns and complications. What I love about what we do on our show is we take these magical worlds, these two creatures, these two Wesen living – having real life problems and just because they’re not wholly human, doesn’t mean that they don’t – and they live in this magical kind of world, doesn’t mean that they – and they live in this kind of magical world, doesn’t mean that they don’t deal with the same kind of stuff that regular people deal with. I think if they choose to be pregnant, it might be interesting to have complications with that journey. I mean that’s something that a lot of people deal with and the fact that they are a mixed species, it might not be a straight forward kind of process having a baby, getting pregnant and sort of deal with those heavy issues might be interesting to see through the eyes of two Wesen. They can always have twins, one of each. Can you just briefly kind of give us a sneak peek on what we can expect when the show picks back up after its break? Not just the Monroe storyline but anything else Wesen-related or any exciting episodes that stand out for you? Bree Turner: Yes. I mean, we’re on a strong – we’re on a bullet train down to some heavy, very dark territory with this mid-season finale. The whole – it’s absolutely life and death for Monroe and Rosalee and for everyone, for that matter. Juliet, her storyline is – gets so crazy good. I’m so excited for what the fans are going to see out of Juliet. It is going to be out of left field and no one will expect the straight shot that she is on with her new awareness of certain things in her life, her new reveals. Then Adalind and Victor, as you’ve seen, they’re teaming up. And you know, two bad guys are way stronger together, so – than they are apart. So they’re joining forces and that connection Adalind has with Nick and Juliet just gets more murky. So it’s some very exciting stuff coming up once we come back in January. What’s ahead for Rosalee and Monroe and a little bit about the tease for the viewers; like what is this life and death situation that’s ahead? 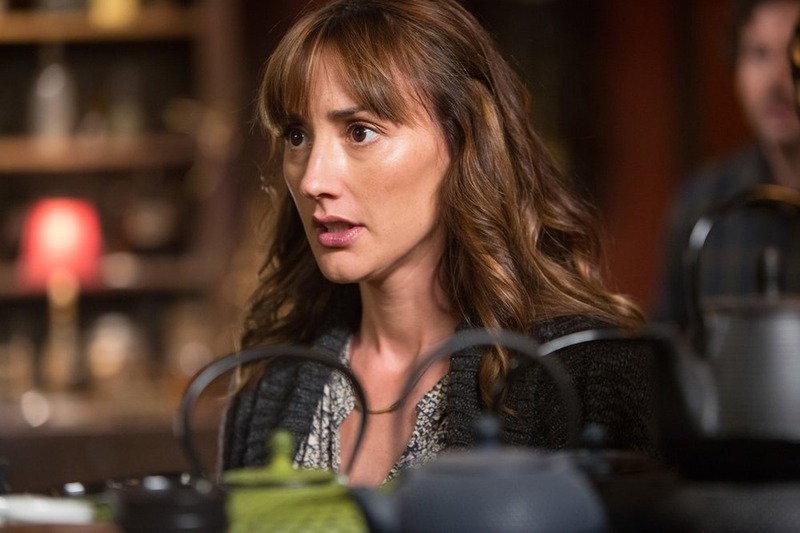 Bree Turner: Well as we’ve been teasing the last several episodes, there’s a group of extremist, fundamentalist Wesen called the Secundum Naturae Order Nam Wesen and they are basically the KKK and a group of horrible, despicable monsters that have targeted Monroe and Rosalee as an abomination of their union because they’re mixed species couple. So they’ve been doing these sort of violent acts towards the couple, but in this mid-season finale, by the end of the episode, you see that there’s no more teasing, that they have now fully entrenched themselves into our home and our world and one of us is – has our life dangling in the balance and it’s very scary and the next several episodes back in January – this is a major story line for the second half of the season dealing with – will they even physically survive this terror attack? How are they going to respond to being on the front line of change? And you known can their relationship really hold up to this? You know, It’s – this is isn’t like the in-laws not liking you. This is very, very serious life and death stuff. So very scary, very hard to shoot and very satisfying so, you know, we’re thrilled and simultaneously sick to our stomach the whole time, but I think the fans are going to really enjoy it. Would you say this is the darkest place that Grimm’s ever gone before? Bree Turner: Yes for sure. I would say for sure. Yes. I love it because I think about our writers, they always make that turn where it gets a little too light or a little too funny or a little too casual, the writers always – which is so great to give us some breath in the series, you know, so it’s not all intense. But right when they’re about to get a little too comfy, they just throw this nasty curve ball at us and I just I think it’s constantly keeping the fans on their and they think it’s really fun. What’s Silas (Monroe) like to work with? Bree Turner: I love that man. He is funny, he is smart. He is a very good friend and we just have a blast together. He’s a fabulous actor and it’s just always fun working with him. So I’m very lucky. Do you have a favorite episode so far? Bree Turner: Honestly? I think this Chupacabra episode this Friday was one of my favorite this series. I think there’s so much packed into this episode, it’s not confusing. It’s a tight episode, well written, well directed. There’s a lot of pay-offs at the end of it and it’s very emotional and I think it just got to – it’s the best of Grimm I think in the Chupacabra. Is there a scene that sticks out to you that was the most fun to film? Bree Turner: Well this Christmas episode you just saw last week was so fun and it was – we all had such a great time filming it. It was a bit of a departure from the tone of the show but I think Christmas episodes, you can get away with that. It’s like when the cast goes to Hawaii. It’s sort of like it’s a separate kind of entity from a series. There’s special episodes and Bitsie and I always have a blast working together and it was really fun to kind of be able to, allow from working in the moment and physical comedy and there are Wesen creatures. So many of our episodes are life and death and the stakes are super high and they’re super scary – and it’s kind of fun and refreshing to sort of deal with Wesen that weren’t necessarily going to kill us, but were just annoying and gross and so I think that kind of element allows for a lot of comedic moments from everyone’s characters because it wasn’t necessarily people’s lives were in danger. So yes I think that was one of my most fun scripts we shot. Are you and the cast and crew and everything doing anything together for the holidays? Bree Turner: Well, we just got together last week and watch the Christmas episode and hung out all night. And then we’re having – we like to throw an annual – the cast likes to get together and throw an annual party before our winter break for the crews. We had that coming up which was – it’s always a very good time and a much needed release for the crew and for all of us. [VIDEO] Sneak Peek: 12 MONKEYS Coming To Syfy! Don’t Miss The Season Finale of FAKE OFF Tonight on truTV!